South Korea’s top chemical firm LG Chem aims for resurgence with the aggressive investment plan for this year. According to the chemical company on Tuesday, it is planning to invest a total of 1.7 trillion won ($1.5 billion) in major businesses such as petrochemical, information and electronic materials and li-ion batteries this year. The amount of investment is an increase of 13.3 percent from last year’s 1.5 trillion won. By sector, the company would invest 730 billion won in adding production lines, 300 billion won in research and development and 760 billion won in the existing businesses. If investment in fixed assets and separate personnel expenses are included, research & development investment would climb to a total of 610 billion won. The figure is up 20 billion won from last year. Eyes are on the aggressive investment plan by LG Chem especially as most chemical and oil refining companies are considering freezing or scaling back investment this year. For full article, see Maeil Business. The competition in the secondary cell battery industry has expanded from mobile devices to electric car, sparking the race for ‘rechargeable battery big bang.’ In the rapidly growing global secondary cell battery market, which expanded 96 percent last year, South Korea, Japan and China are more fiercely competing over attracting personnel, new technology, patents and others. Since overtaking Japan for the first time in 2011, Korea grabbed the top market share in the global small lithium ion (Li-ion) battery segment of the global rechargeable battery market last year for the third year, said sources in the relevant sector Monday. Japan had been an uncontested top country with 51.1 percent market share in 2008, but the figure has continued to drop to reach 34.3 percent last year. China is the third biggest country with 18.3 percent market share. Samsung SDI shipped the highest 1.1 billion cells of rechargeable batteries and took the top rank, and LG Chem the third highest 715 million cells. Panasonic retained the second place with 718 million cells, and Sony the fourth with 316 million cells. LG Chem, a chemical firm and auto parts maker, is said to be on the verge of inking a deal to supply lithium-ion batteries to Chrysler Group, according to market sources Monday. “LG Chem is working on a supply deal with Chrysler, and the outlook is very positive,” an official close to the matter said. He declined to disclose the details, but supply is expected to start as early as this year. A market source said the batteries made by the LG Group affiliate would likely power a new electric car made by Chrysler, which was recently acquired by Fiat. LG Chem has been working in tandem with the United States Advanced Battery Consortium, consisting of the U.S. Department of Energy, General Motors, Ford and Chrysler, on developing electric vehicle batteries. The supply deal with Chrysler would be LG’s first such agreement with the U.S. firm. Samsung SDI has also been participating in the USABC-led battery development project since 2011, and is currently supplying lithium-ion batteries to Chrysler’s F500e. LG Chem is struggling to gain the upper hand in the competition with Samsung SDI and Panasonic, two of its most formidable rivals in the car battery business. LG Chem said Tuesday that it’s been producing curved batteries since July this year at its plant in the Chinese city of Nanjing. “We’ve successfully developed batteries that haven’t existed before with our own patents, and that advancement is going to help us take the lead over our rivals in the race for next-generation digital devices,” said Kwon Young-soo, president of the company’s battery division. The firm said these curved batteries are already being used to power G2 smartphones manufactured by LG Electronics, the group’s consumer electronics affiliate. 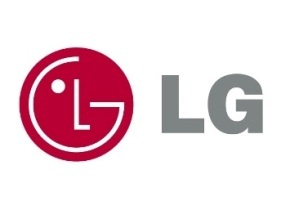 LG Electronics isn’t the only one that has shown interest in adopting curved batteries for upcoming flagship models as LG Chem is preparing to sell the products to other smartphone vendors, said a company spokesman Owen Sung. LG Chem to supply biggest energy storage system in U.S.
LG Chem, one of the world’s leading makers of lithium-ion batteries, has been selected by Southern California Edison to deliver the largest battery energy storage system in the U.S., the Seoul-based company chemicals company said on Wednesday. The project, named Tehachapi Wind Energy Storage Project, funded by the Department of Energy, involves powering up a 32 MWh battery energy storage system for Southern California Edison, a dominant electricity supplier in Southern California, company officials said. The batteries that LG Chem will be installing in the storage system are capable of providing electricity to about 100 homes for one month and are equivalent to the number of lithium-ion batteries used in approximately 2,000 Chevrolet Volt electric vehicles manufactured by General Motors. LG Chem said Thursday that its naphtha cracking center (NCC) facilities were ranked first in energy efficiency in an evaluation by global market researcher Solomon Associates. LG came top among 115 NCC facilities of global firms in the U.S. firm’s recent analysis to find out which facilities are most-advanced in energy efficiency. “The result means LG Chem’s NCC facilities are far advanced and more highly-qualified at a technology level and efficiency in operation,’’ said company spokesman C.S. Song. For full artilce, see Korea Times. 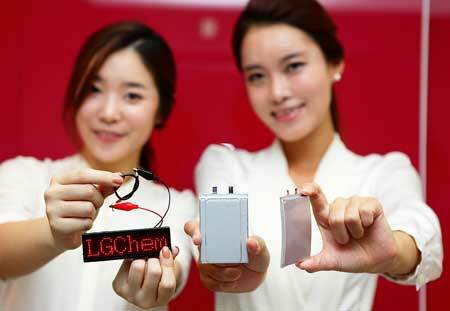 LG Chem CEO Park Jin-soo said Tuesday that its car battery making plant in the United States is getting back to normal after a brief suspension of operation. The world’s biggest manufacturer of rechargeable batteries had halted production due to suppressed demand. “We are training our employees in the United States in preparation for more demand,” he said. LG Chem announced on Friday that it will not make any new investments in polysilicon next year citing concerns with the solar energy market amid the ongoing global economic slowdown. The battery maker wanted to advance into the photovoltaic market and invest heavily in the technology, but now says it wants to change direction. “We would like to put off new investments in polysilicon next year as we did this year until we secure profitability,” LG Chem said in a regulatory filing. Last December, the company withheld its previous plan to invest 500 billion won ($461 million) in solar energy facilities in Yeosu, South Jeolla. LG Chem’s latest move comes a day after Hankook Silicon, a local polysilicon maker, filed for court receivership as it failed to repay notes worth 8 billion won. LG is not alone. Korea’s top 10 conglomerates unveiled bold plans to start new businesses two years ago, but not much progress has been made since. Samsung Group, the country’s No. 1 company by assets, is no exception. The conglomerate had designated solar cells, electric vehicle batteries, light-emitting diodes, biopharmaceuticals and medical equipment as the future growth engines of the company in 2010. LG Chem and Samsung SDI compete with each other in an energy storage system (ESS) demonstration project with different types of secondary battery technologies. In the smart grid distribution project led by the Korea Smart Grid Institute under the Ministry of Knowledge Economy, the consortiums of KT and the Korea Electric Power Industrial Development Corporation (KEPID), which have been selected as the preferred bidders, are predicted to adopt the batteries of LG Chem and Samsung SDI, respectively. The purpose of the project is to save electricity at night, when the power rate is relatively lower, and use it during peak hours for more effective power supply. Advanced metering infrastructure (AMI) monitors and controls household power usage remotely in real time. For full article see Korea IT News.